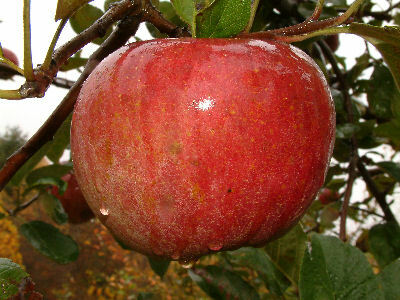 Although this apple is not considered an heirloom variety, it is quite a popular apple in western North Carolina. Discovered as a seedling in 1935 in Hendersonville, NC, it was introduced by the Will Dalton Nursery. The skin is greenish-yellow covered with deep red and overlaid with darker red striping. The flesh is yellowish-white, fine-grained, crisp and juicy. A very flavorful apple ripening in October.